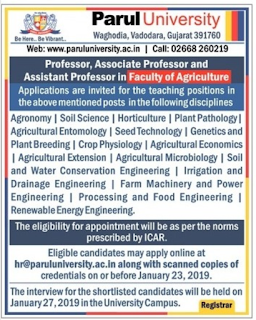 Parul University, Vadodara,Gujarat has advertised for the recruitment of Teaching Faculty of Agriculture- Pofessor,Associate Professor,Assistant Professor jobs vacancies. 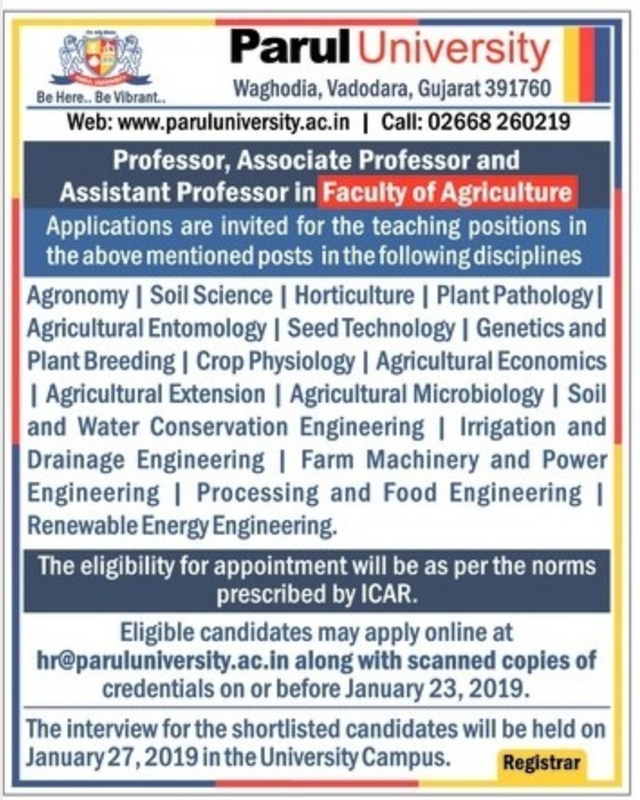 Interested and eligible job aspirants are requested to apply online on or before 23rd January 2019. Check out further more details below. Name of the College: Parul University, Vadodara,Gujarat. About College:1990, under the Bombay Act 1956, with an objective of providing education, social welfare & health care to the under privileged section of the society. Salary Package: As per ICAR norms.